After a bad Friday, Saturday was somehow worse for Cloud9. 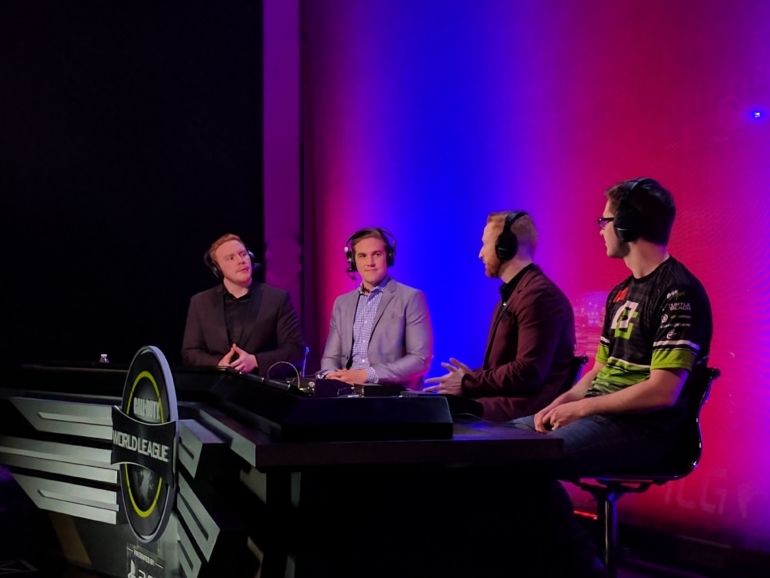 The second day of the Call of Duty World League Global Pro League kicked off with the four Red Group teams looking to grab two more wins before the final day of round-robin competition. Heading into Saturday, none of the teams were guaranteed that they wouldn’t be relegated. The team in the worst position, though, was Cloud9. The CWL Las Vegas runners-up were swept twice Friday by Mindfreak and Splyce. That seemed to light a fire under C9’s captain, Patrick “ACHES” Price, who was seen warming up hours before his teammates even arrived at the venue. But, it was all for not. C9 came hot out of the gates in their first match against Team EnVyUs, but a complete meltdown by Cloud9 on the second-to-last Hardpoint allowed EnVyUs to roar back from their deficit and take the lead. EnVyUs held on to the lead and shut down C9’s advance on the last hill to win the first game of the series 250-247. Motivated by the loss, Andres “Lacefield” Lacefield started to rack up kills in the following Search and Destroy on Retaliation. Behind Lacefield’s solid work and the team’s great patience, Cloud9 held a 5-3 lead heading into the ninth round. C9 was unable to finish off the boys in blue, however, as they dropped the final three rounds due to some poor calls and shooting. ACHES finished the map with a 3-8 scoreline, while Lacefield led all players with 13 kills. The third game of the series was just a massacre. C9 never really even had a chance, getting demolished 24-2 on Throwback Uplink. Jordan “JKap” Kaplan led the way for EnVyUs, picking up 39 kills and three carries. Cloud9 had no better luck against Splyce in the following match. Seemingly deflated from their loss against EnVyUs, C9 showed little to no fight in their series against the Europeans. Lacefield was just about invisible in the first two games, finishing with a combined 11 kills (eight in Hardpoint, three in Search and Destroy). Both games resulted in losses, and Splyce finished off Cloud9 with an 11-4 Uplink win. Mindfreak found similar results as C9, finishing 0-2 after falling to Splyce and Team EnVyUs as well. MF at least won a few maps, taking one game apiece against both teams. With EnVyUs and Splyce both winning their matches, they are the top two teams in the Red Group heading into Sunday. Splyce leads the group with a 4-0 match record, as well as a stellar 12-2 map count. EnVyUs is right behind them with a 3-1 match record and 10-5 map count. Mindfreak is 1-3 in matches, with their sole win coming against Cloud9 on Friday. They also hold a 6-9 map count. C9 is all the way at the bottom at 0-4–they have yet to win a map in the CWL Global Pro League. Cloud9 will look to bounce back on Sunday when they face Mindfreak and EnVyUs in their final GPL matches. The C9 vs. EnVyUs match will kick off the final day’s action at 2pm ET.